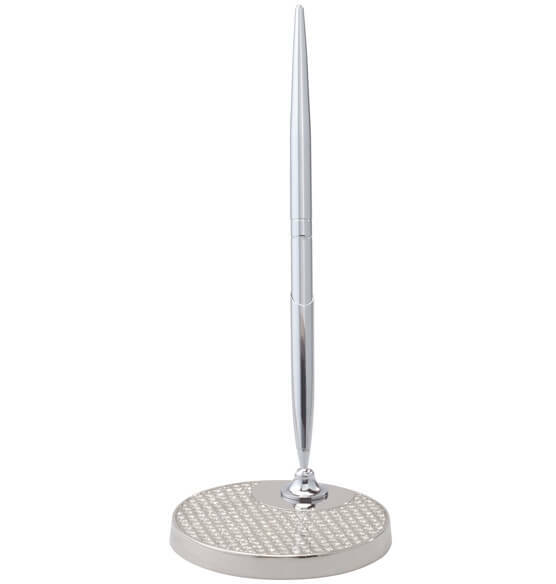 Perfect for placing next to a wedding guest book, this personalized Brilliance pen holder and pen set makes an elegant statement. 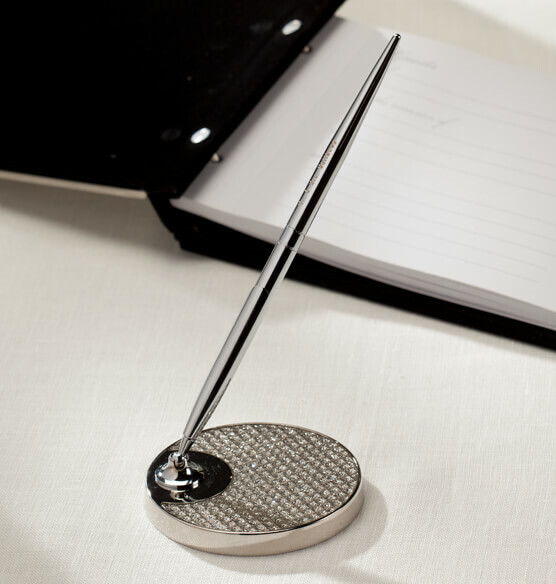 The custom pen's nickel-plated barrel and sparkling crystal accented base add glitz and glamour to the table or desk. Personalize the pen to create a custom keepsake. Makes a nice companion to our Personalized Brilliance Guest Book Keepsake.